Karen is based in Singapore after moving to the region nearly 9 years ago. 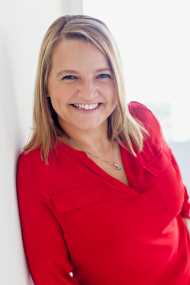 Karen works with corporate clients across the board from MNCs to individual contributors on a variety of initiatives but very much centred on helping people and teams to fulfil their potential. TetraMap is a tool that can provide some valuable insights, to enhance individual and team performance, aid collaboration, and help us to understand ourselves and others a little better.